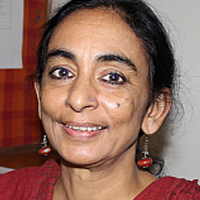 Dr Suman Bhattacharjea is a Director of ASER Centre. She earned her undergraduate degree in Economics with Honors from Delhi University, and M.Ed. and Ed.D. degrees in Education from Harvard University. Dr Bhattacharjea has extensive experience in the fields of education, gender, and women’s rights. She has worked with government, private, non-government and international organisations in several countries, including India, US, Pakistan and Mexico. She has taught courses on research design, gender and education and has authored or co-authored numerous articles and books in these areas.